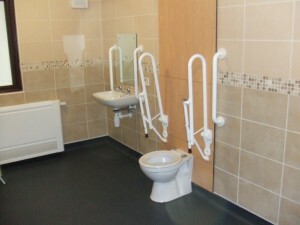 Disabled Adaptations can’t get around like you used to? Our home disabled adaptations team will make things easier. Property Restoration Services fully trained and highly experienced All trade professional staff fit internal and external disabled adaptations equipment. We work hard to ensure that the finished result accurately reflects your specifications, and work closely with you throughout the entire Disabled adaptations process, from the initial enquiry to final completion. All the work we undertake is fully guaranteed and completed to the highest possible standards. So for more information, or to receive a free, no obligation quotation or survey, contact the friendly team at Property Restoration Services today! All our Disabled Adaptations work is fully Guaranteed for a period of 12 months, for your complete peace of mind.